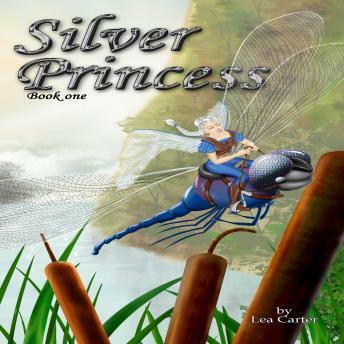 "Ms. Carter has written a superb novella in Silver Princess. It is a fantasy book taking place in a fairy kingdom, but with characters who could be our next door neighbors." --Dawn Edwards, The Kindle Book ReviewThe citizens of Fairydom live to be thousands of years old. This is the story of a young princess and part of her adventure of growing up. Princess Rebecca's truant dragonfly ride is brought to an abrupt end when she tumbles out of the sky and into a treacherous mud puddle. Luckily, a brave, handsome stranger rescues her from two large animals and helps her get back home to Castlemain. Unluckily, that same stranger turns out to have ties to the group of rebels who are trying to force her father from the throne! The rebellion still seems quite distant until Rebecca is kidnapped, questioned, and again rescued by her friend. It's only after the rebels are caught and punished that things begin to return to normal...except her new normal includes feelings for her new friend. What does the future hold for them? Read the next book, Silver Majesty, to find out!